Our multirips are ideal workhorse machines, producing the majority of finished product in most of our sawmills. The simplicity of our design, coupled with solid construction and plenty of power, produce high throughput and top quality results. 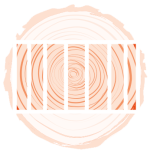 Multirips are capable of making multiple high tolerance cuts in a single pass. Proper alignment of the cant going into the Multirip produces excellent throughput and recovery. Optical sensors detect the presence of material, activating pneumatically assisted driven hold-downs to apply pressure down onto the cant, and guiding the timber accurately through the cut. The high accuracy on board thickness along with the excellent cutting finish achieved by these circular saws result in improved recovery savings further down the line in the dry-milling/ finishing process. This beast of a machine is a must-have in any high volume sawmilling operation.